It has been nearly a year since we last heard about Todd McFarlane’s plan to resurrect Spawn as a new “dark R” superhero movie, but now it looks like the adaptation of the iconic ‘90s comic is actually moving forward with a big-name star grabbing the absurdly huge cape and demonic chains. 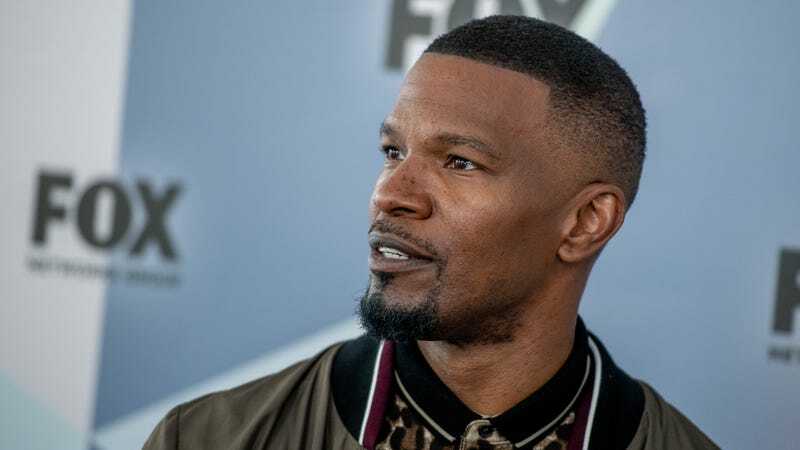 According to Deadline, Jamie Foxx is now set to star in the Spawn movie, with original Spawn creator Todd McFarlane writing and directing the adaptation. Interestingly, though, it sounds like Foxx might not have a ton of work to do as Spawn. Speaking with Deadline, McFarlane teased that this version of the character won’t do a lot of talking, saying that the monster in “the scariest movies”—he names The Thing and The Ring—is usually silent. He’s hoping people will leave the theater confused about what Spawn really is, saying he’s “not a man in a rubber suit” who comes to “save the damsel” at the end of the movie, and he thinks audiences will wonder if he’s “a ghost that turns into a man” or “a man that turns into a ghost.” Either way, he won’t talk a lot, which is an angle that seems partly inspired by The Quiet Place and how it conveyed information without a lot of spoken exposition. As for Foxx, he apparently pitched McFarlane on a Spawn idea five years ago that didn’t work out, but the writer kept him in mind when he was developing this new Spawn concept. He told Deadline that there are “five or six moments” in his script where he really needs some work from his actors, and he trusts Foxx to be able to pull off the occasional line that’s “short, curt, and has impact.” The plan is for the movie to be pretty scary, which makes sense since it’s coming from horror studio Blumhouse, and Foxx will apparently be (silently) carrying a lot of those scares.